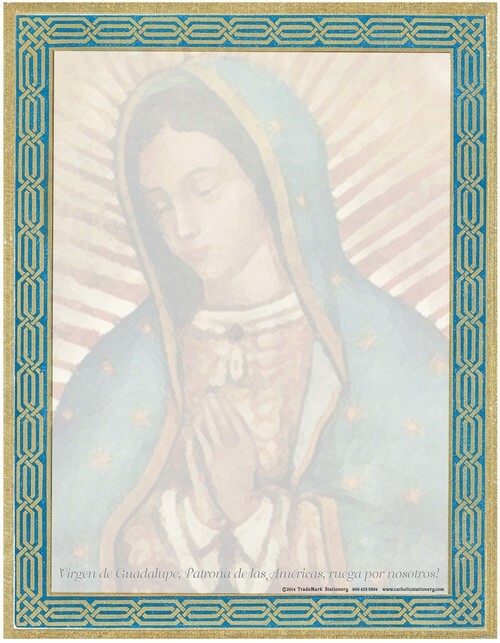 Our Lady of Guadalupe Window Decal - 35¢ ea. Individual Cards - $1.95 ea. 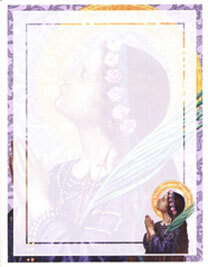 These postcard can be mailed individually or enclosed in a greeting card. 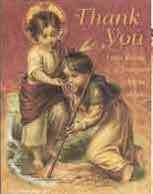 Cover reads: Christmas Blessings! The back is completely blank for writing or printing your own personal message. Cover reads: Quia natus est vobis hódie Salvátor qui Christus Dóminus. The translation is: "For, this day, is born to you a Savior, Who is Christ the Lord." The back is completely blank for writing or printing your own personal message. 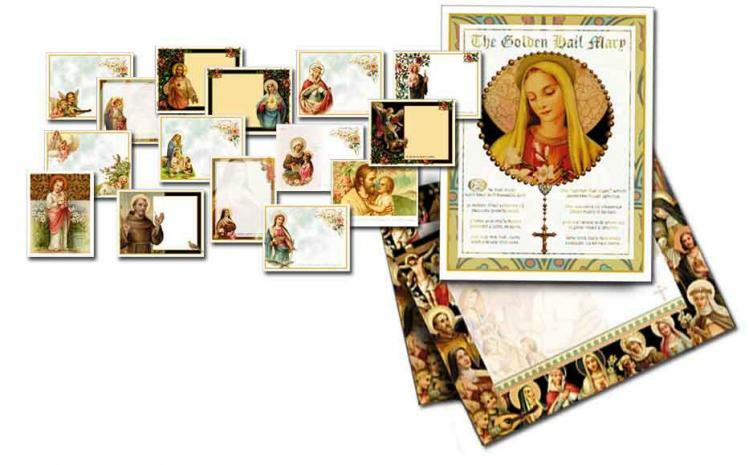 St. Francis Christmas Cards - Pkg of 12 - $12.49 ea. 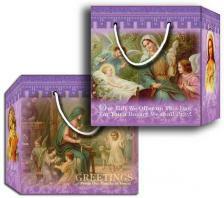 St. Francis Christmas Cards - Variety Pack of 12 - $12.49 ea. 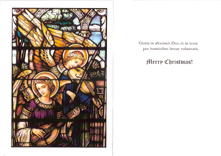 Order your set of Catholic Christmas cards today! 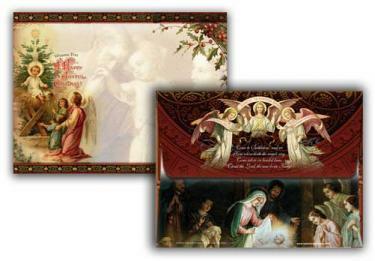 These tasteful and beautiful religious cards send the joyful message of Christ's birth to your family and friends! 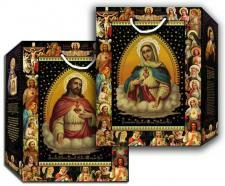 With classic artwork depicting The Wisemen, Mary, Joseph and the child Jesus, our selection is the perfect way to send Christmas and New Year greetings! Made in the USA. NEW! Great for First Communions, Ordinations... or any gift giving occasion in which you wish to honor Our Lord in the Holy Eucharist. Two 28"x40" Sheets of wrapping paper per package. NEW! Finally! Really real Christmas wrap! Let everyone know Whose Birthday we are celebrating! Jesus'! Amen! Two 28"x40" Sheets of wrapping paper per package. One of a kind gorgeous premium quality semi- gloss wrapping paper is a super generous size 27" X 39" [68.58 cm X 99.06 cm]. TWO extra large sheets per package, which will wrap 4 shirt boxes! 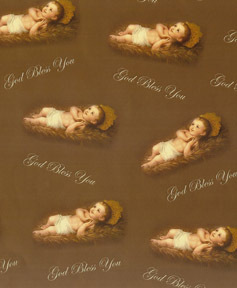 This wrapping paper with a beautiful image of the Divine Infant, with the words, GOD BLESS YOU, is perfect for all gift-giving occasions throughout the year. It's even sturdy enough to wrap and protect those school books!